John Wick’s third outing is coming this summer, but the first John Wick: Chapter 3 – Parabellum trailer has debuted as of today (Jan. 17), offering us a characteristically kickass glimpse of the action franchise’s junior entry. Starring alongside Reeves are John Wick mainstays Laurence Fishburne, Lance Reddick, Ian McShane and Tobias Segal, plus franchise newcomers Halle Berry (! ), Jason Mantzoukas (!! ), Anjelica Huston, Saïd Taghmaoui, Jerome Flynn, Mark Dacascos, Asia Kate Dillon and Boban Marjanovic. The trailer itself, set to “The Impossible Dream (The Quest),” picks up right where the last film left off, with the impossible dream in this case being John Wick’s safety. Wick, lost in New York, is being hunted by an entire city of killers, but if you think he’s going to let that stop him, you, my friend, have never seen a John Wick movie. Wick hardly has time to lick his wounds before becoming public enemy number one, pursued by everyone from Flynn’s dapper assassin to samurai sword-swinging motorcyclists, but if there’s one man who thrives with his back against the wall, its Reeves’ hitman extraordinaire, just as deadly with a hand-thrown assault rifle as he is … on a horse? Between Wick’s bottomless badassery and the shot of him trudging through a desert in the trailer, we can reasonably conclude he makes it out of New York alive. And with Berry’s Sofia seemingly on his side, we can also hazard a guess that Wick’s going to turn the tables on those who hunted him, proving himself the most dangerous game of all. It’s going to be a blast. See for yourself below. 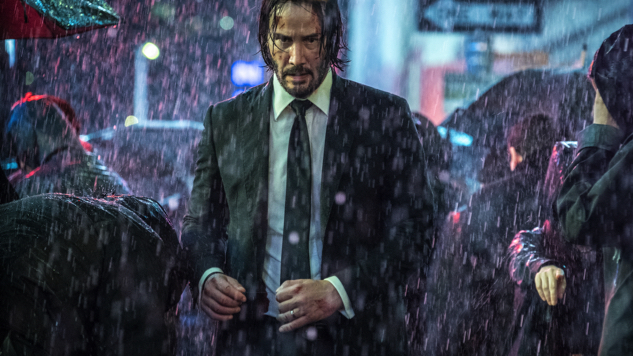 John Wick: Chapter 3 – Parabellum comes to theaters May 17.